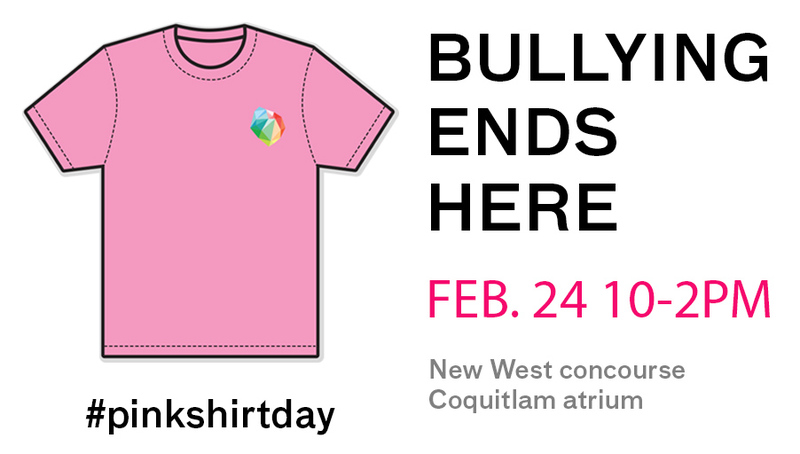 Take a stand against bullying with Douglas College on Feb. 24 as we mark Pink Shirt Day. Don pink attire and join fellow students and College employees at the New Westminster Campus Concourse and at the Atrium at the Coquitlam Campus from 10am to 2:30pm. The Douglas College event will feature activities, information and resources about Pink Shirt Day and the anti-bullying message behind the pink shirt. You can take it one step further and post a photo of a loved one on social media, sharing why that person is important to you, with the hashtag #PinkItForward. Coast Capital Savings will donate $1 for each post. For more information about Pink Shirt Day, click here.